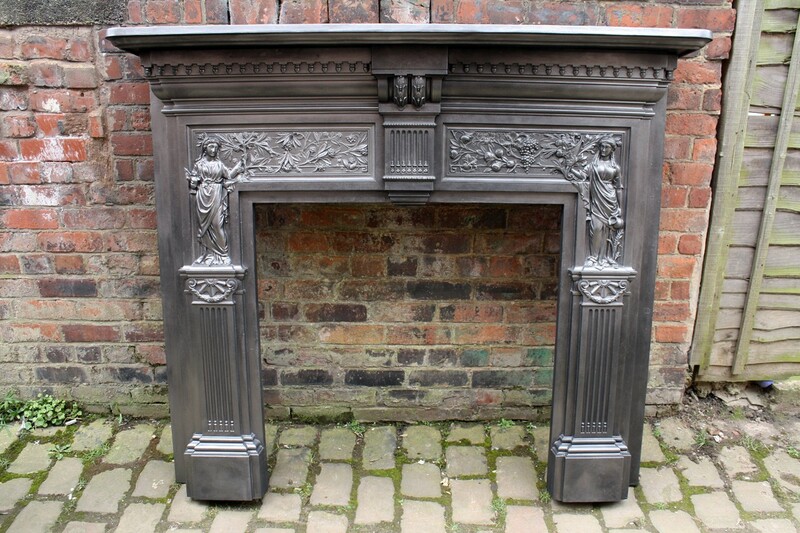 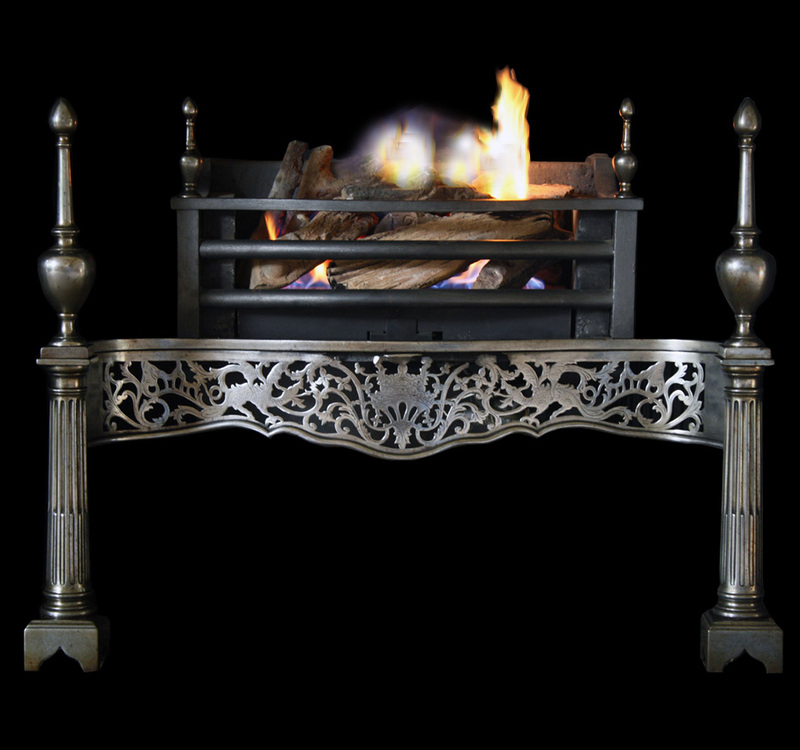 Antique original Victorian cast iron peace and plenty fire surround This is the version with the deep external rebates, giving it an extra deep mantel superb casting depicting two Grecian figurines holding to the left a dove of peace and to the right a horn of plenty. 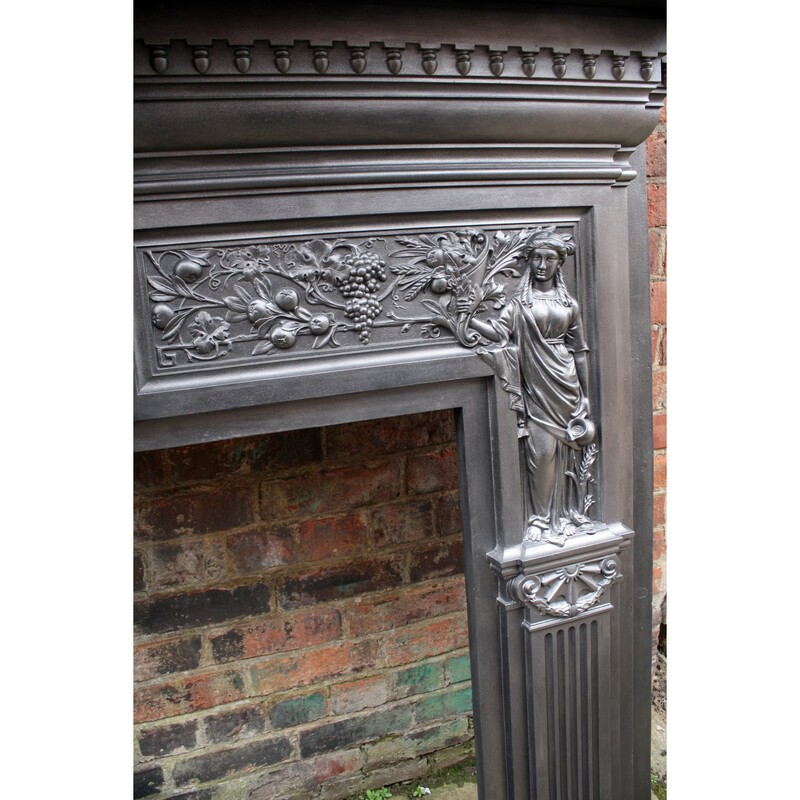 Antique original Victorian cast iron peace and plenty fire surround This is the version with the deep external rebates, giving it an extra deep mantel superb casting depicting two Grecian figurines holding to the left a dove of peace and to the right a horn of plenty. 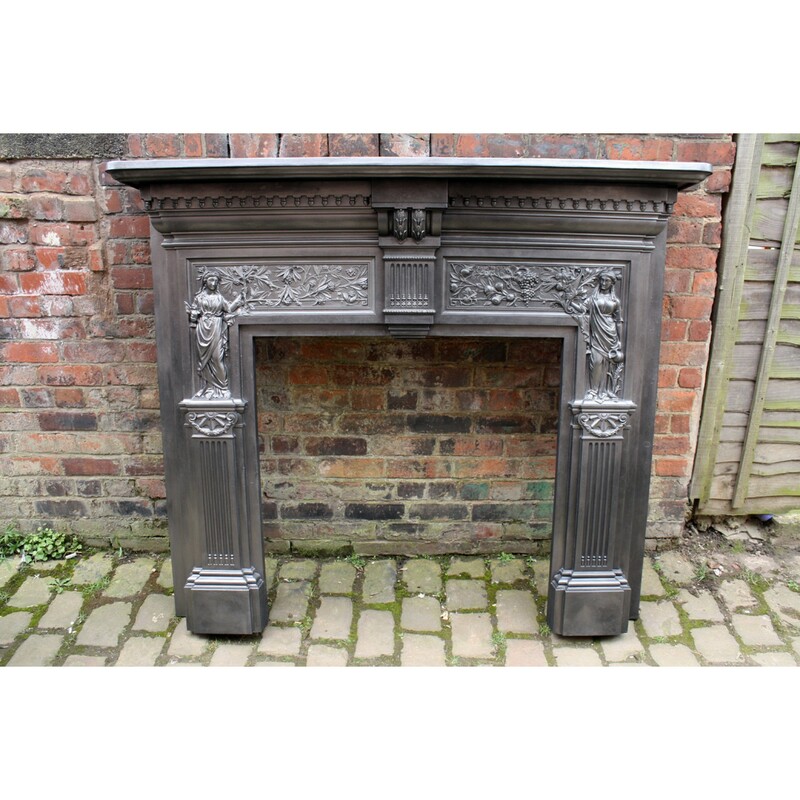 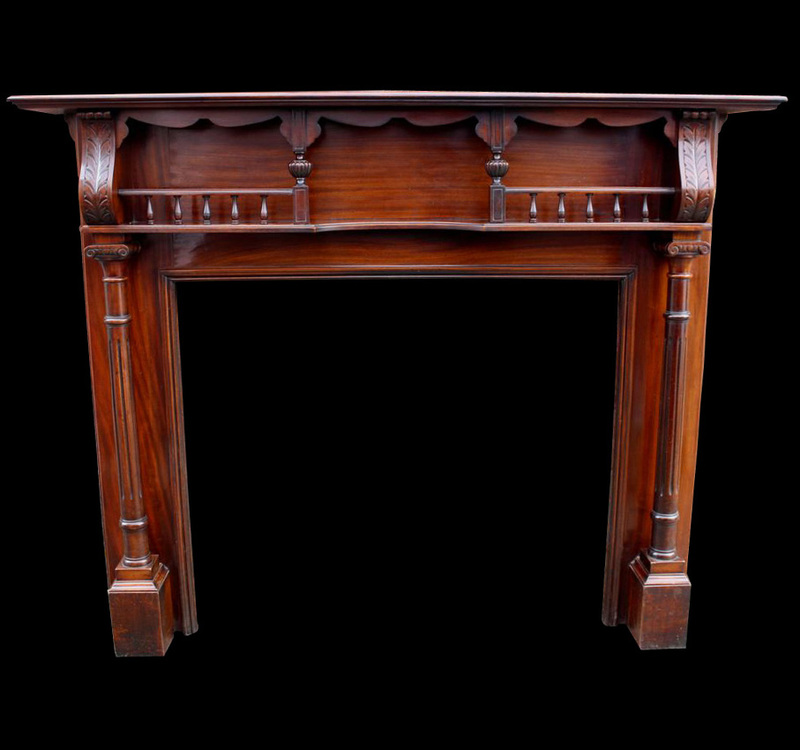 This is an original Victorian peace and plenty fire surround . 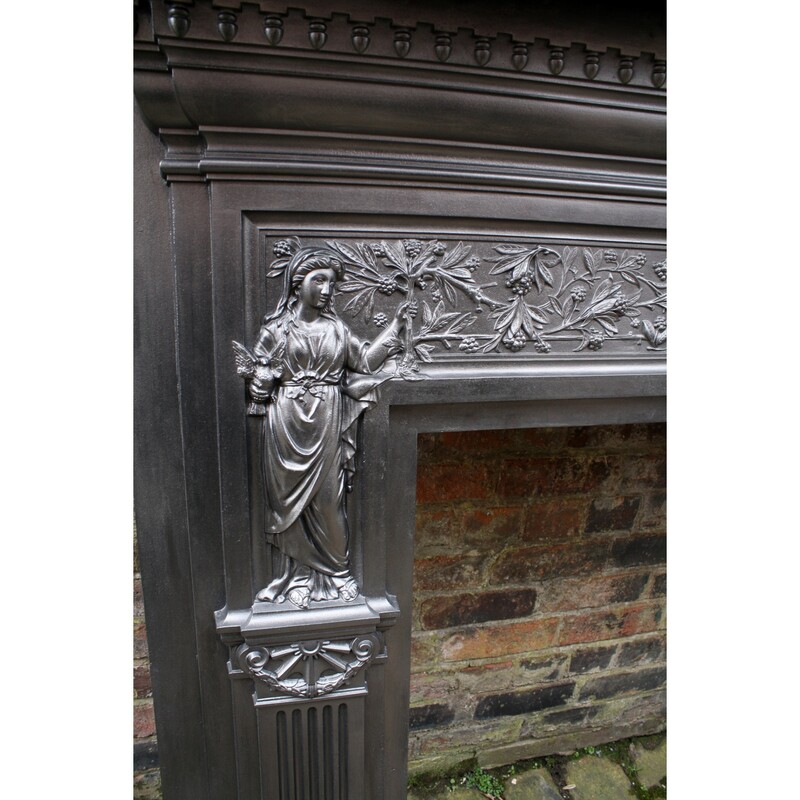 The allegorical figurines of the Peace and Plenty were perhaps most famously used by Inigo Jones on a design for a fireplace dating back from the first half of the seventeenth century. 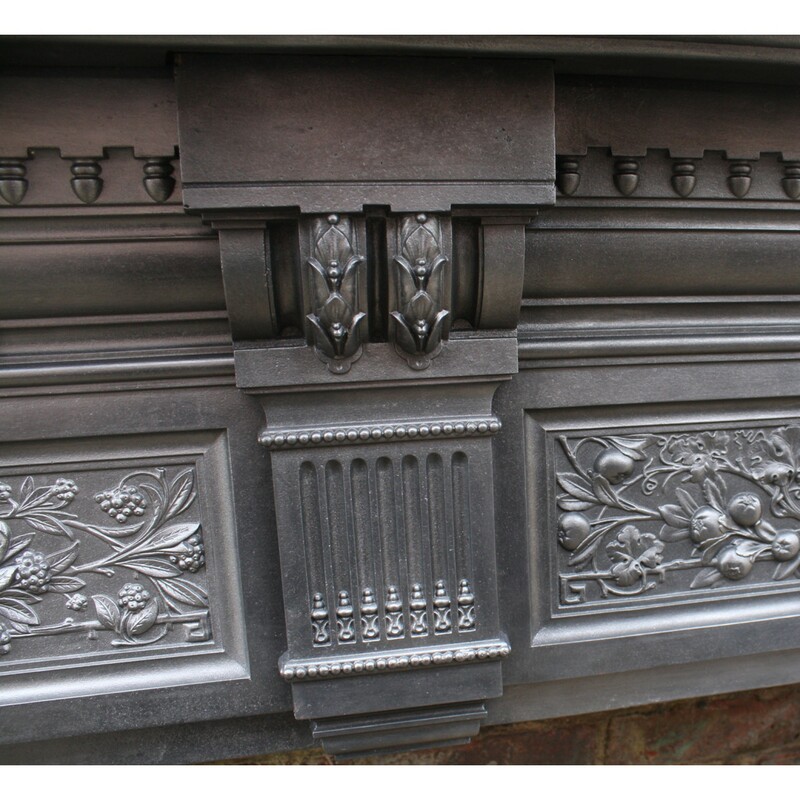 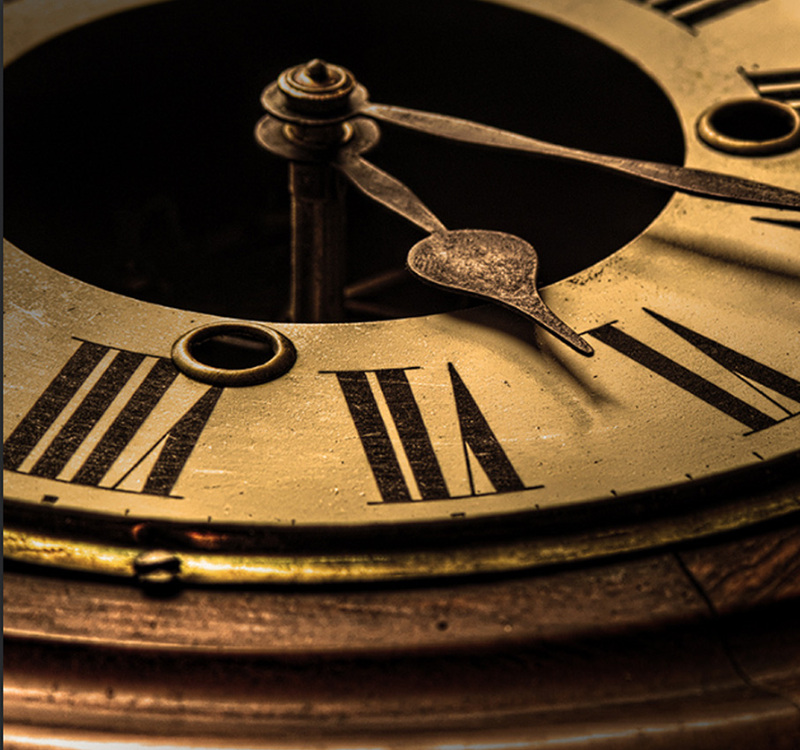 His drawings for the design have survived and many Victorian fireplace designs were derived from them. 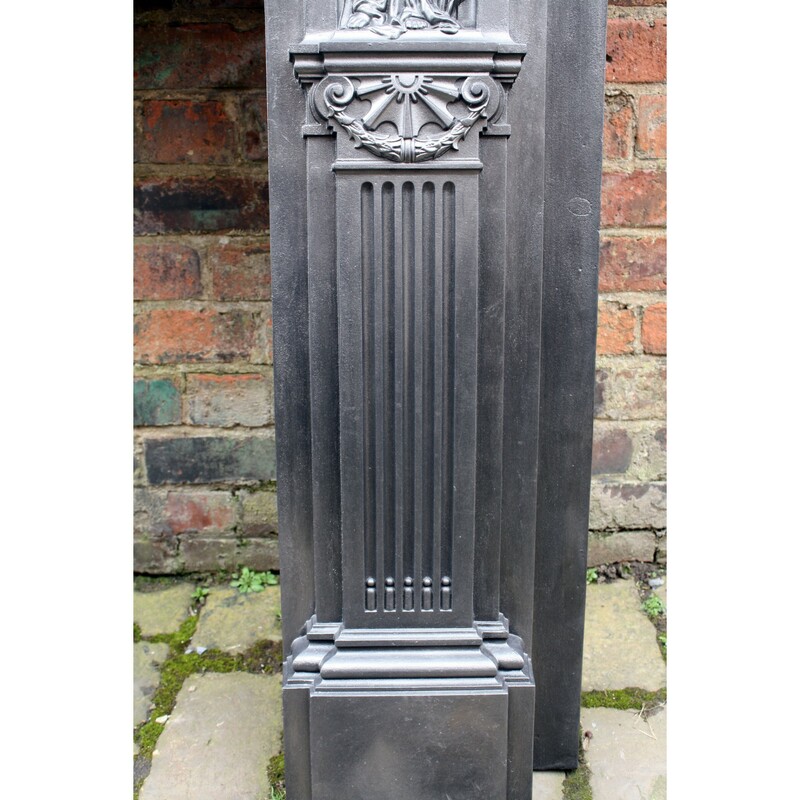 Slips can be supplied to reduce the aperture of this surround if required.